Joyful Sporty Woman And Dog Jumping And Having Fun After Running.. Stock Photo, Picture And Royalty Free Image. Image 38786410. 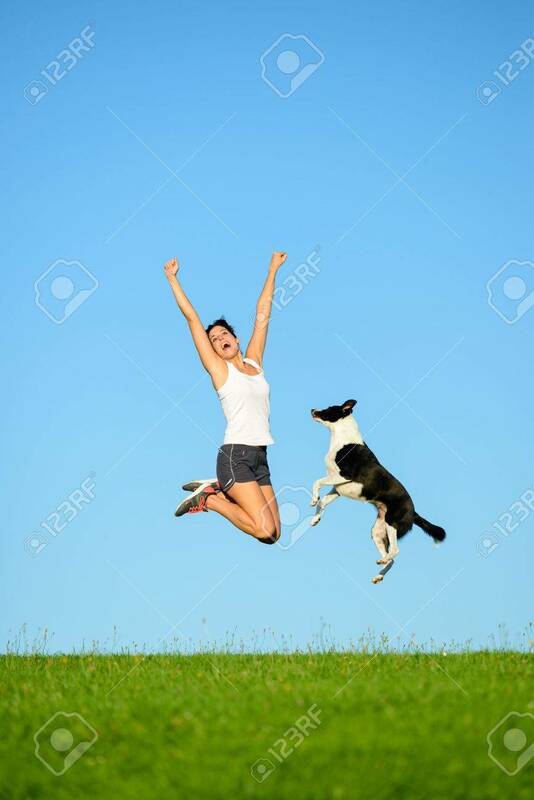 Stock Photo - Joyful sporty woman and dog jumping and having fun after running and exercising outdoor together. Female athlete and her pet celebrating sport success and freedom. Joyful sporty woman and dog jumping and having fun after running and exercising outdoor together. Female athlete and her pet celebrating sport success and freedom.